A lovely post that brings back good memories. Thank you. 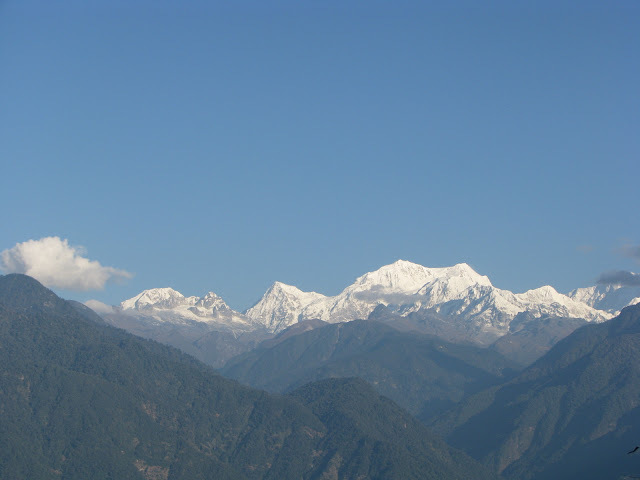 My closest views of the awesome Kanchenjunga have been from Dzongri, Thangsing and from the base of Mt. Pandim. I've read that the first British expedition honoured the beliefs of the local Sikkimese, who hold the Kanchenjunga summit sacred, by stopping a few feet short of the actual summit. Subsequent summit parties also are known to have followed this tradition, and I believe the guide ensures it. Celina - Thats a good bit of information you have provided. 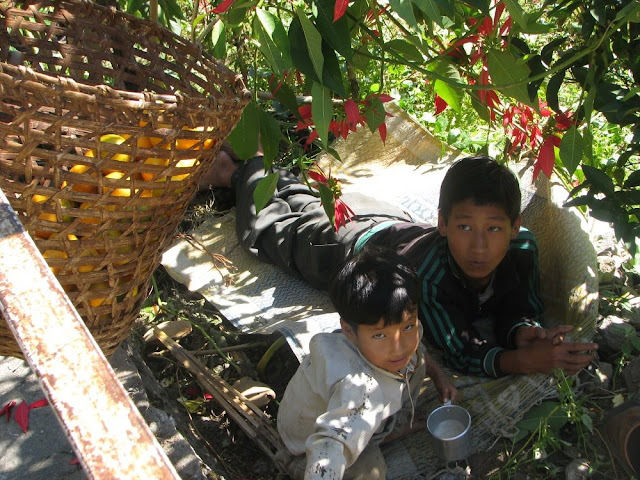 I hope to revisit Sikkim again and again. I hope i can watch KCD, even more closer next time. Perhaps i will have to trekk. 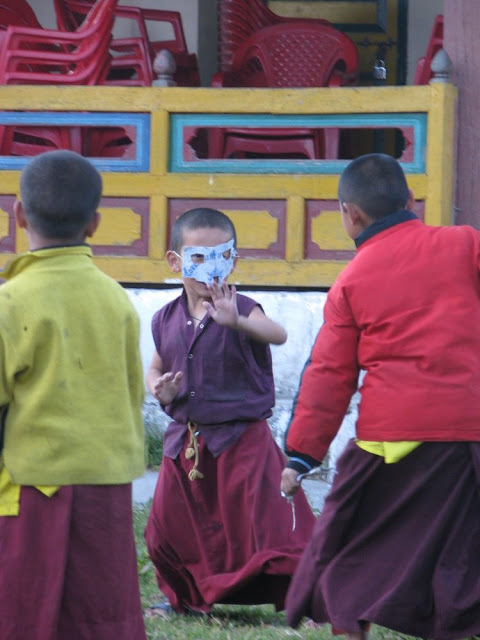 Unlike others who have commented here, I have never been to Sikkim and am doing so thru your posts. Nice info for my future trip there. This is a great post. 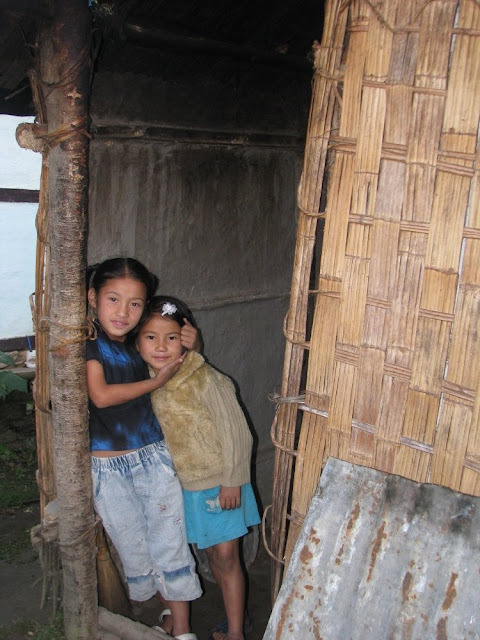 I am very impressed that you took the time to go and talk to villages about their life. Nice to know that girls are treated the same as boys there. Nice pictures. Looking forward to the next post. I am putting you on my blogroll. 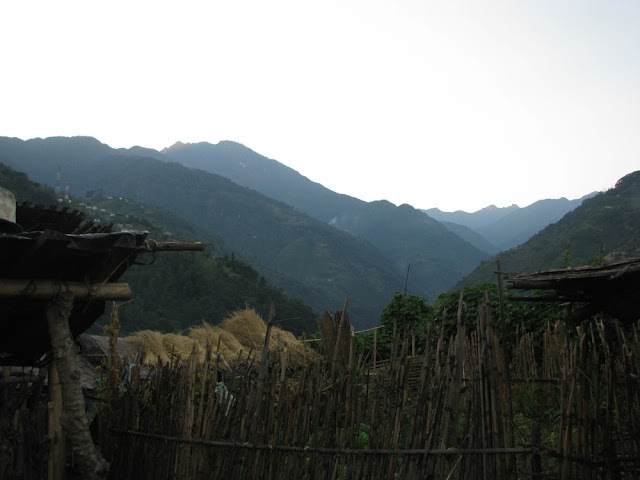 I obviously meant "talk to villagers"
Cuckoo - Sure, Sikkim is a must see place. Vamsee - Welcome to my blog. Yes indeed that was the best part of all, to interact with the villagers. 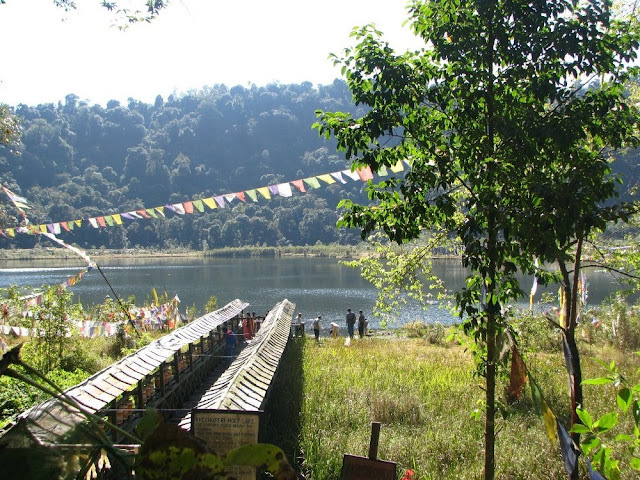 visiting your blog after a long time..lovely write-up on your Sikkim travels, guess, this is how I will get to know more about some great tourist spots in India. @Alok, Mitr, Hillary - Thanks. 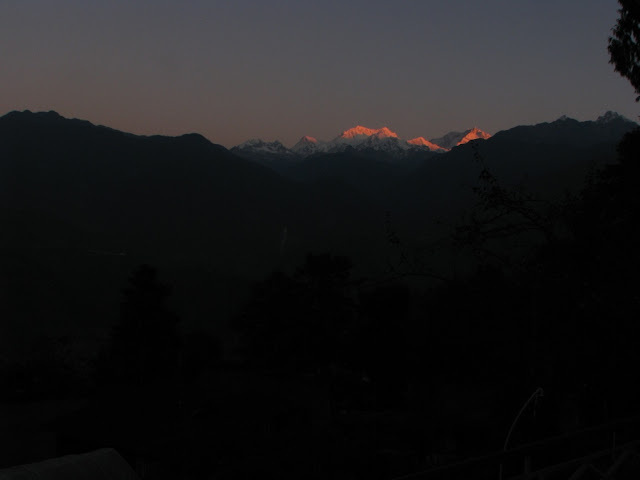 On the way to Pemayangtse Monastery, we viewed the sunrise and excellent view of the khanchendzonga & the adjoining peaks. From here the Nepal valley can also be seen. 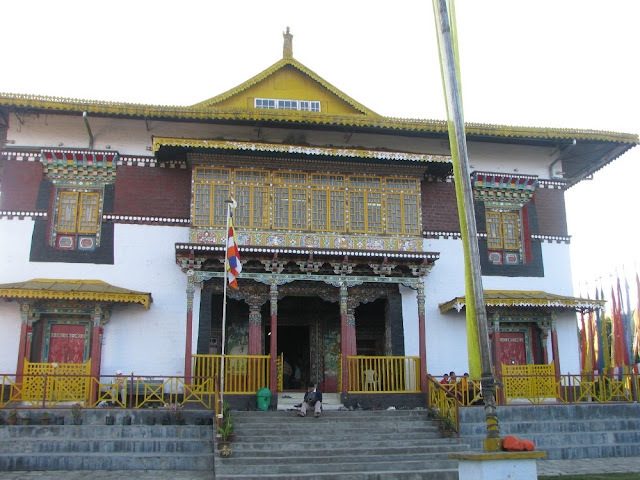 Then we moved down to the Pemayangste monastery, also known as the "Perfect sublime lotus" is one of the oldest in Sikkim.